Are you a compulsive spender with a mountain of debt to your name? Believe it or not, compulsive spending isn’t as uncommon as you might think. Studies have suggested that about 6 percent of the U.S. population demonstrates compulsive spending behavior. It even has a name: Compulsive Buying Disorder. If you suspect that you might be dealing with CBD, there are steps you can take to prevent it from ruining your life. Take a look at a few tips that will help you fight off your shopping addiction once and for all below. 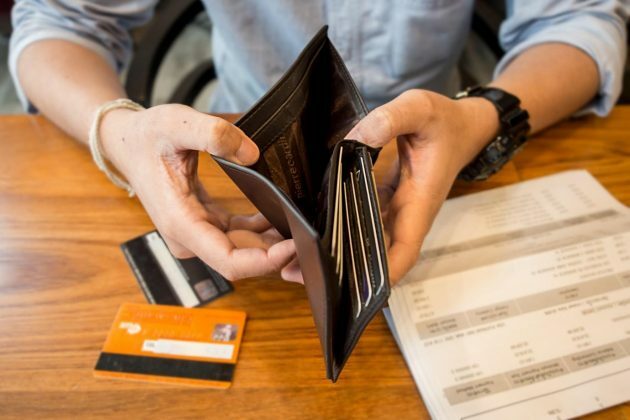 The average American has either 2 or 3 credit cards in their wallet at all times. They also have more than $5,000 worth of credit card debt. If you’re a compulsive spender, you know this struggle all too well. You’ve likely racked up your fair share of credit card debt over the years buying clothes, electronics, and a whole host of other things. To stop yourself from spending money you don’t have, cut up your credit cards right now and throw them away. This is the only surefire way to eliminate the chances of you continuing to use them. Use cash, not credit cards, to pay for things from now on. Coming up with a budget for your spending is one of the best ways to stop yourself from spending money you don’t have. Yet, only about 40 percent of Americans rely on a monthly budget. Your budget will keep you on track and make sure you have enough money every month to cover the essentials. If you have a lot of debt hovering over your head, make it your mission to pay it down as quickly as possible. Otherwise, it’s going to make it tough for you to save up any money. A bad credit loan is a good option for those with a low credit score who want to pay off credit card debt right away. You can get access to the money you’ll need to say goodbye to the credit card companies forever. If you were an alcoholic, you wouldn’t spend all your time hanging out around at bars. If you were a gambling addict, you wouldn’t make yourself a fixture at the casino. So as a compulsive spender, you shouldn’t set up shop in malls or other places you might be tempted to spend money. You shouldn’t shop online, either, since it’s easy to rack up debt when you’re adding things to a cart on the internet. By using the tips found here to your advantage, you can transform yourself from a compulsive spender to a former compulsive spender. You can also put yourself on the path towards financial freedom. It’s not always going to be easy to stay the course. But as long as get rid of credit cards and stick to your budget, you should be able to stop your compulsive spending for good. Read our blog to find out how to stay fashionable without spending all your money on new clothes.